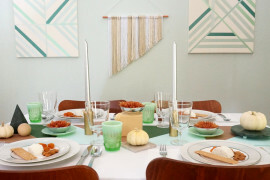 Let’s start by shining the spotlight on table runners created with the help of paint! 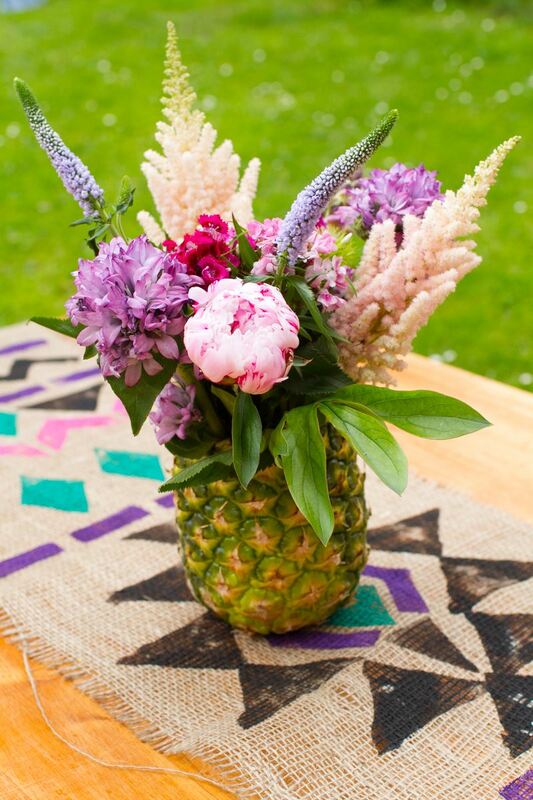 While this photo from Bespoke Bride is really highlighting a tutorial on a DIY pineapple floral arrangement, I can’t take my eyes off the painted burlap runner that rests under it! 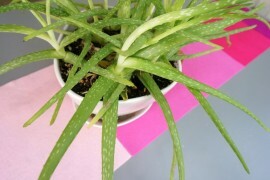 Create your own with the help of stencils and/or painter’s tape. 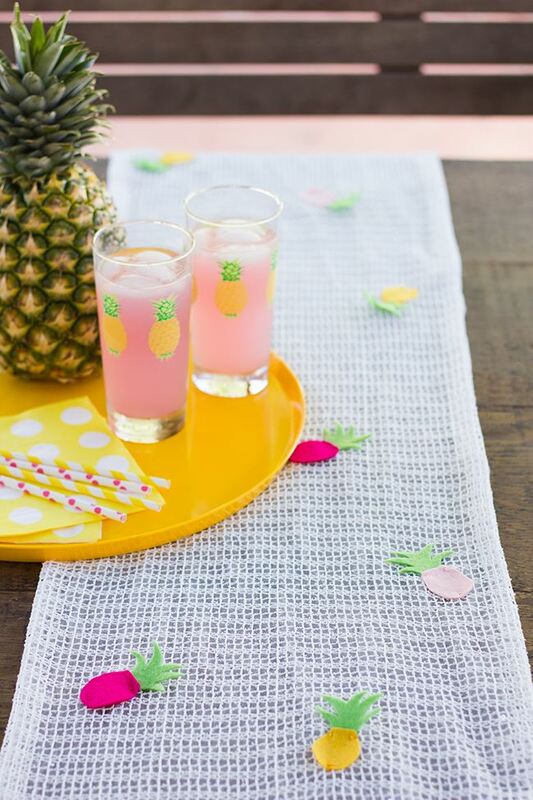 For a similar look with two-tone style, check out this Hand Printed Table Runner DIY from A Beautiful Mess. 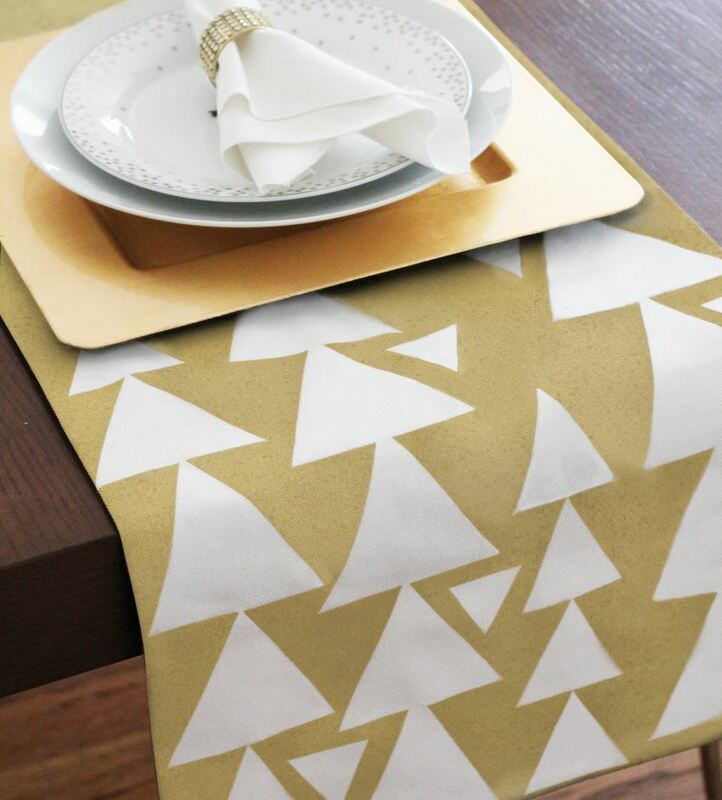 Purchase an affordable table runner and embellish it with shapes (using a homemade stamp). 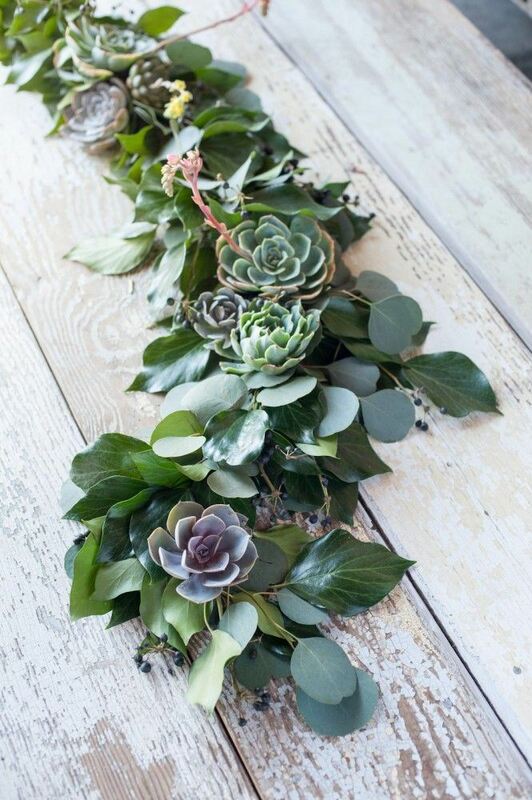 I’m loving the tribal look of this table runner, as well as the delightful simplicity of the process. 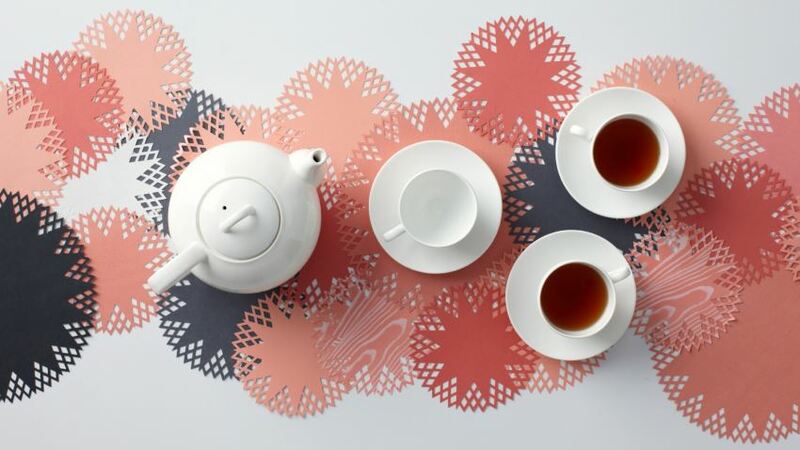 Inspired by Charm’s DIY Dot Table Runner is a work of art that celebrates today’s hand-drawn aesthetic. A canvas drop cloth, fabric paint and a few other basic supplies will get the job done! Have you ever tried painting with bleach? When used on dark fabric, the resulting contrast is fabulous. 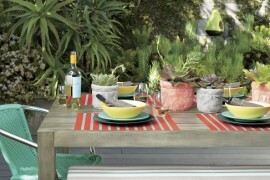 Check out Cosas Bonitas’ tutorial for bleach-painted napkins, and adapt it to the dark-hued table runner of your choice. Unique, right?! 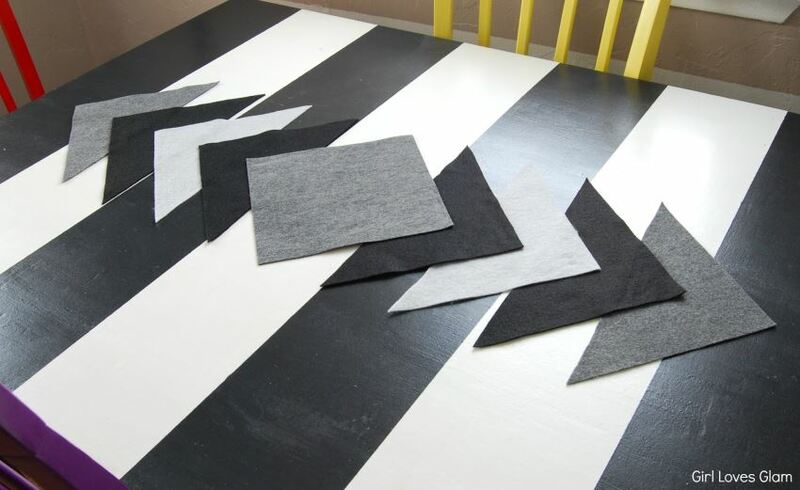 While this DIY Geometric Table Runner from 100 Layer Cake involves stamping black triangles onto muslin fabric, I’m kind of intrigued by the peel-and-stick vinyl flooring used to create the stamps. 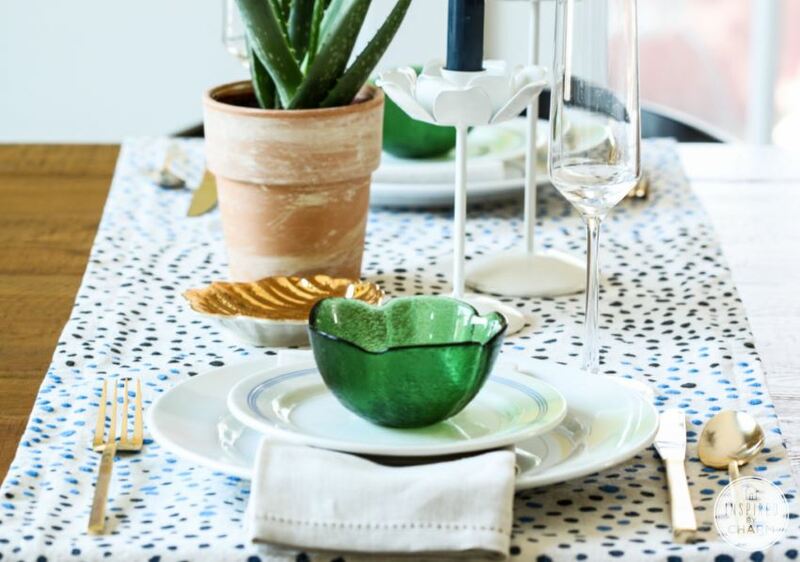 In fact, the image at the right (below) makes me think of the easy-to-clean table runner possibilities that can result from using peel-and-stick contact paper to adorn a thick surface! Now the question is which type of patterned contact paper should I use in my creation?! It’s easy to cut. It’s vibrant. It’s felt, and it’s one of my all-time favorite craft supplies! 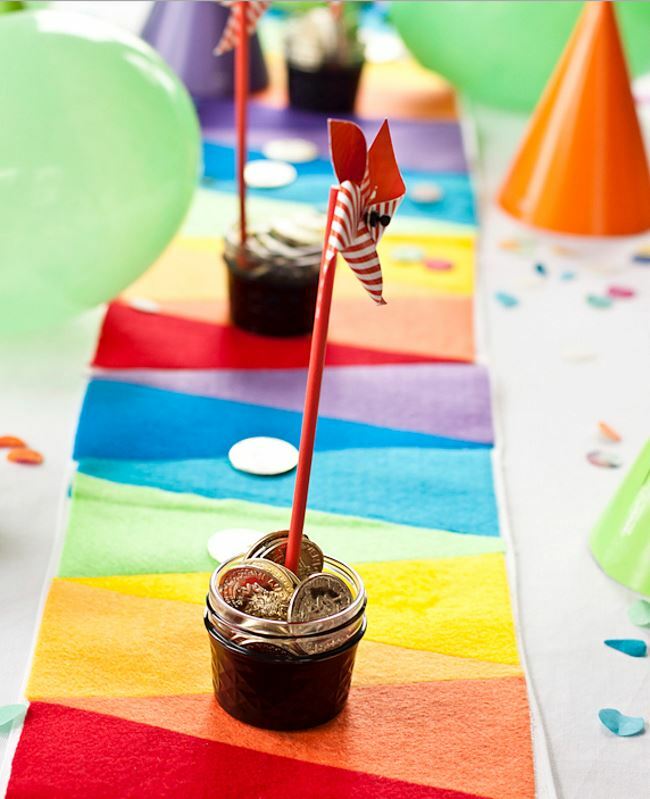 This Rainbow Felt Table Runner from Say Yes requires just a bit of sewing, but the rest is easily accomplished with heat and bond iron-on adhesive sheeting. Check out the colorful tutorial here. 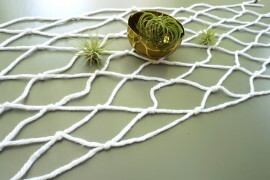 Bring tropical style home with this DIY Pineapple Table Runner from Studio DIY for Scarves.net. Yes, that table runner is a scarf! Embellished with felt pineapples, of course. A few simple stitches secure everything in place. Cheerful, fun and perfectly on trend, don’t you think?! 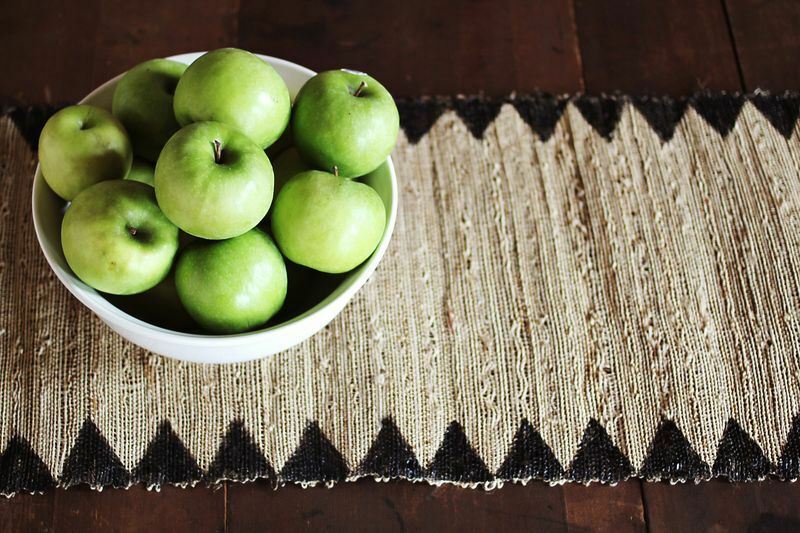 Ready for a no-sew table runner with plenty of geometric style? 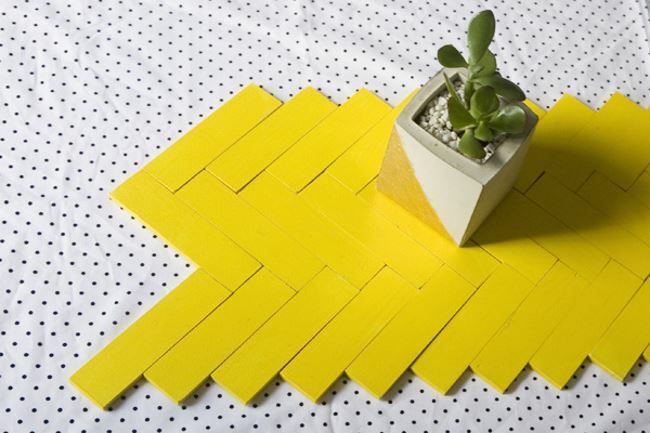 Felt, scissors and hot glue are all you’ll need to create this DIY Geometric Triangle Table Runner from Girl Loves Glam. My favorite part: the way the runner accents the table without hanging down on both sides (ideal for homes with pets and children who like to tug)! These next featured runners are all about textured, anything-but-flat style. 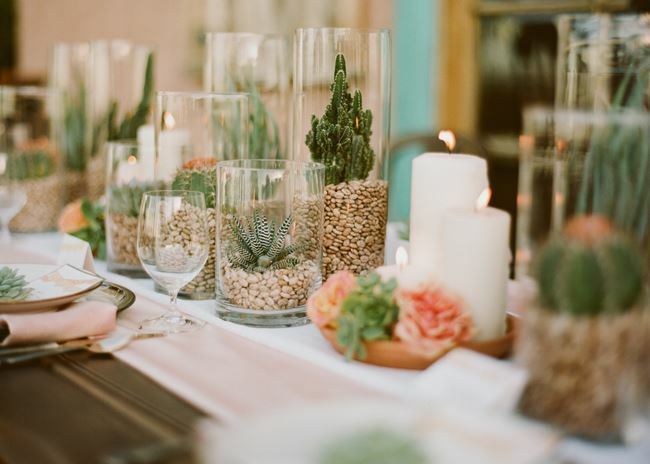 For example, this table runner from Sarah Park Events & Design via Ruffled brings 3D style to the table with true geo flair! Pegboard is the material of choice, and it can easily be embellished with bamboo skewers and DIY geometric shapes in a variety of colors. 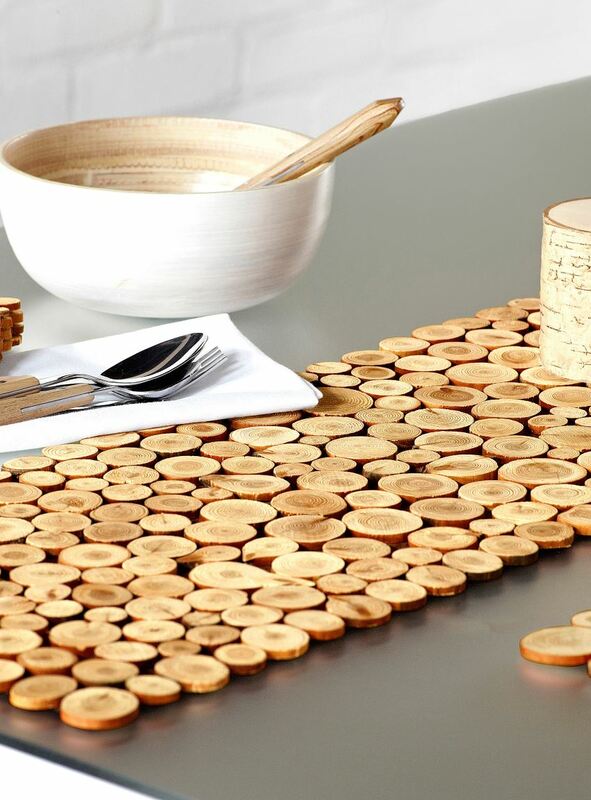 You can also use the pegboard base as a jumping off point for your own 3D table runner creation! 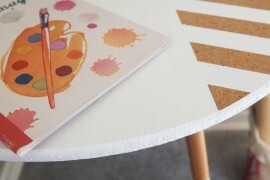 I’m loving the herringbone style of this Paint Stick Table Runner from Ruffled. Yes, paint sticks are the special ingredients here, yet the paint color is up to you. The yellow is fabulous, right? Glue the pained wooded segments to sheets of felt (5 sections were created then pieced together here). This makes the runner super easy to store and transport! 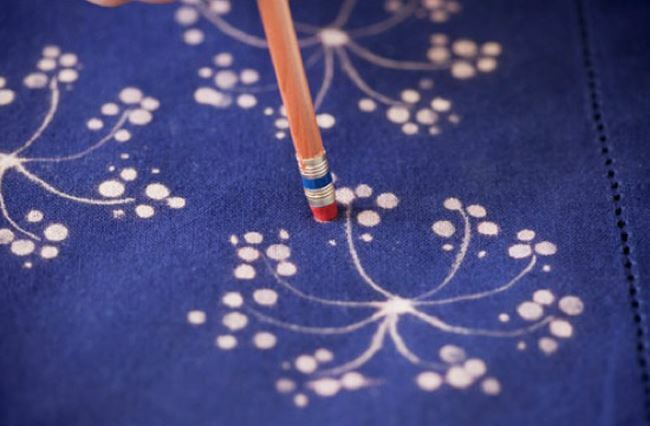 This French Dot Constellation Runner from Design Sponge isn’t exactly 3D, but it’s definitely filled with texture! Created by Jessica of Miniature Rhino, the project involves some embroidery basics, but the gorgeous, whimsical finished product is well worth the effort. Check out the full tutorial here. 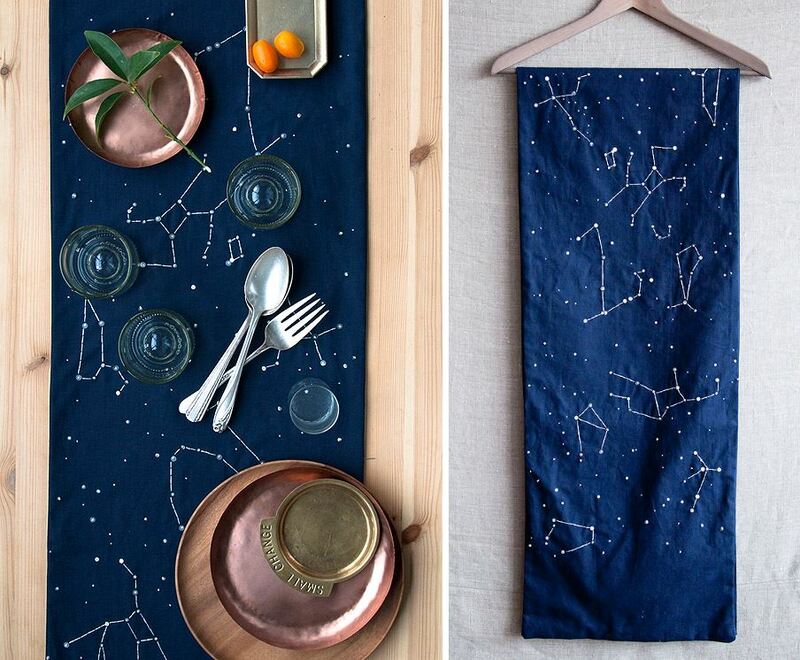 There’s nothing like a temporary table runner to meet your party-on-a-budget needs. 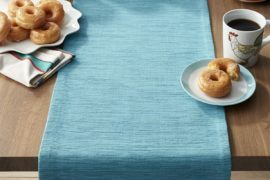 Jenny Batt of Hank & Hunt created this Punched Circles Table Runner for Martha Stewart using Stewart’s Circle-Edge punch. 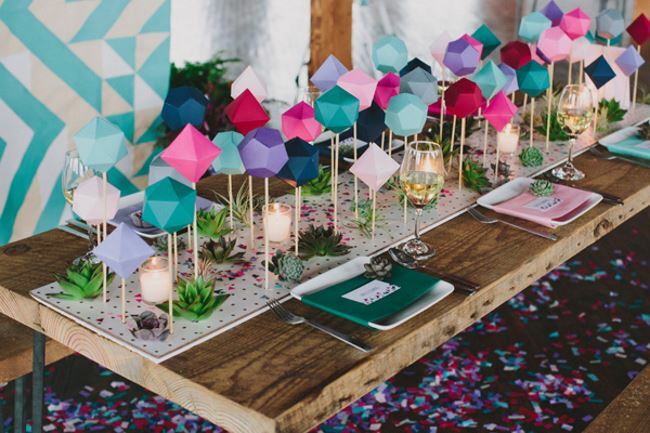 Not to mention, this image has inspired me to connect some striking paper shapes of my own for an impromptu party centerpiece! 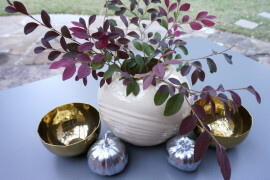 Best Day Ever‘s Simple Winter Table uses greenery to the fullest, thanks to selections such as long-leaved eucalyptus. 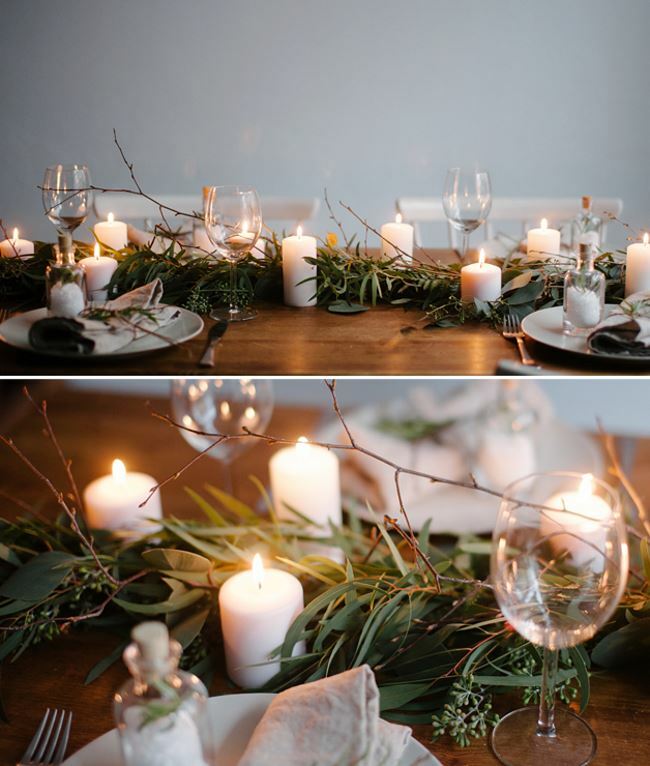 The result is fresh, lovely and modern, especially when the runner is accompanied by simple candles and basic white plates.